What was your gateway to conservation? For some, it’s outdoor recreation. For others, it’s photography. For Noah Stryker of Eugene, Oregon, it was birding. In 2015 Noah—then age 29—set out to become the first person to see half the planet’s birds in one year. For 365 days, with a backpack and binoculars, he traveled across forty-one countries and all seven continents, eventually spotting 6,042 species—by far the biggest birding year on record. Along the way he met passionate birders of all ages and many cultures—many of them fiercely protective of the bird habitat in their own backyard. 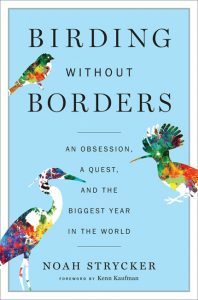 Birding Without Borders, the book Noah wrote chronicling his adventures, comes out Oct. 10. 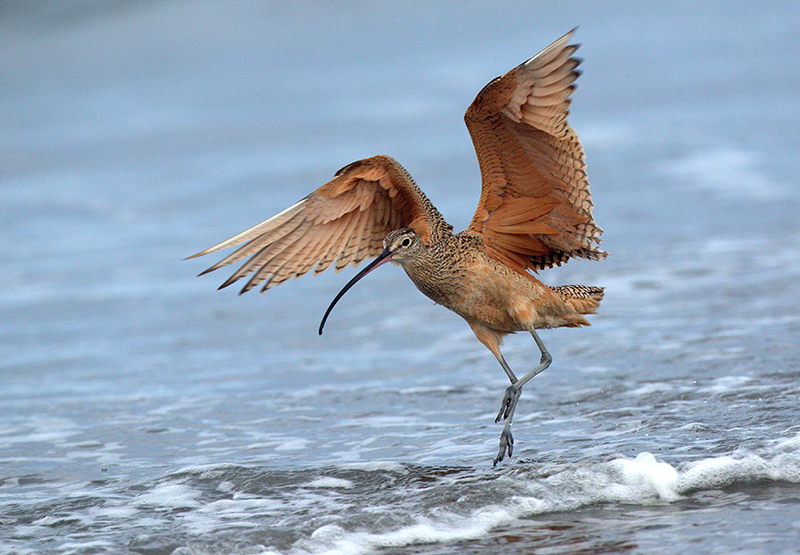 Here are some excerpts from the book, accompanied by photos from our own Neal Maine of shorebirds that typically stop off on Clatsop County beaches in October in their long—sometimes very long—migration from breeding grounds in the Arctic to wintering grounds far to the south. Migration is one of the great wonders of the bird world, having been remarked upon since the days of Homer, who wrote that cranes disappeared to battle Pygmies at the far end of the Earth, and Aristotle, who believed, among other things, that redstarts turn into robins during winter. 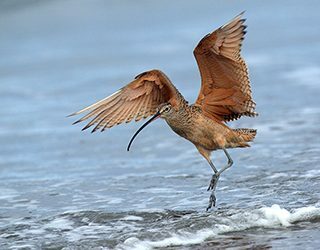 The reality, that more than half of North American bird species fly long distances twice each year, is even stranger than these fictions, and birds continue to surprise us. Researchers still haven’t resolved how migration evolved: Did temperate birds fly south, or was it tropical species that went north? In birdwatching, size doesn’t really matter. That is, the length of a life list does not necessarily measure the caliber of its author. In fact, the opposite is often true: you can build a big list by seeking new birds instead of observing the same birds repeatedly—as many of the world’s top listers do—but the result is that you’ll have only a passing understanding of what you have seen. It takes time to get to know birds, and time is a luxury that often goes by the wayside in the listing game … So what does a list measure, if not expertise or talent? Some argue that a list is only a metric of the depth of one’s pockets and the free time to empty them. Those critics have a point, but I think a list is grander than that: besides reflecting how many places a person has traveled, it measures the desire to see those places and those birds firsthand. A list, in other words, is a personal account of dreams and memories. It conveys poetry and passion and inspiration. … I felt more intimately connected to this landscape through the intricate plumage of a Miombo Wren-Warbler than the sight of a thousand wildebeest, because the wren-warbler required closer attention. This pursuit of birds, with prolonged focus and effort, was like a portal to the world, from the tiniest detail to the biggest panorama. The thrill comes in unexpected doses. If birding were completely predictable, it would no longer be fun to look for them. Waiting is part of the addiction: the longer you wait and the more you hope, the bigger the payoff—even if that payoff never comes.